Yes, it does have a little more style than an Audi Q5. But that's not saying much. It looks like all DS designs will be pretty traditional from now on. 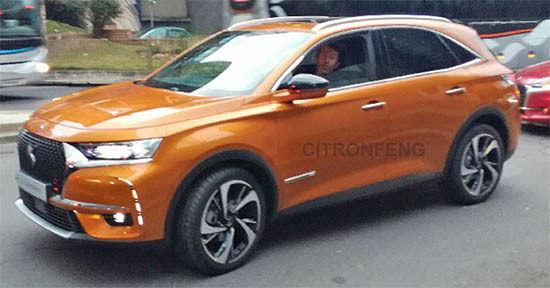 While all Citroen models will finally look borderline crazy like the Cactus. Which is great. I just wonder where that puts Peugeot into that mix. I guess DS is more upscale? Seems that DS models are more and more targeted for the Chinese market anyway. This is for Chinese market only. Euro spec DS is very different from China built DS. Chinese DS looks already dated.